Toyota Motor Corp., Asia’s biggest carmaker, is preparing for a potential future where people don’t buy cars. That’s behind the hefty investments that the company has made in ride-hailing providers, most prominently the $1 billion that it poured into Southeast Asian leader Grab. Toyota sees the partnership as an opportunity to get Grab to buy more of its cars and to push services like insurance and maintenance, Shigeki Tomoyama, the global head of Toyota’s connected car division, said in an interview this month in Nagoya, Japan. The pact with Singapore-based Grab forms the Asia prong of Toyota’s strategy to tie up with the strongest ride-hailing companies in each region, and then integrate its hardware and software into their services. Toyota is seeking an edge over rivals as carmakers are positioning for an uncertain future in which automated driving and the sharing economy threaten to displace the traditional model of vehicle ownership. Tomoyama wants Grab to rent almost exclusively Toyota vehicles to its drivers, from an estimate of about three in five of its cars currently, Tomoyama said. 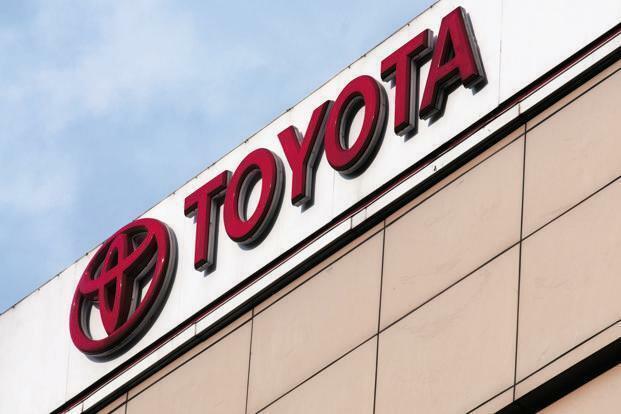 Toyota also plans to install data recorders in all 7,000 or so cars in GrabRentals’ Singapore fleet by the end of March, and then expand that initiative to the rest of the region. That will help Toyota offer services like insurance and maintenance to the drivers through its connected-vehicle system, he said. With Uber Technologies Inc.—into which Toyota poured half a billion dollars last month—the automaker is designing a specialized minivan for their robotaxi project. In China, Tomoyama says he’s in discussions with Didi Chuxing Inc. about what kind of car would suit a possible collaboration, but it’s not yet at the stage for considering an investment. In Japan, Tomoyama says Toyota can leverage its existing rental-car business as a basis for offering additional services. The company is already conducting car-sharing trials in its home market. Likewise in Europe, it is expanding a pilot program using hybrid cars to Spain and Denmark from next spring. Toyota has some competition in courting Grab. Hyundai Motor Co. has also invested an undisclosed amount as part of an agreement to have its eco-friendly cars form part of the GrabRentals fleet. Honda Motor Co. is also an investor. Elsewhere, General Motors Co. injected half a billion dollars into Lyft Inc. in 2016, while also pursuing its own robotaxi program with its Cruise Automation unit. Daimler AG and BMW AG merged their car-sharing operations this year, after buying up several local ride-hailing ventures. Toyota Chief Executive Officer Akio Toyoda sees the industry shift threatening the very existence of the company his grandfather founded in 1937, and is pursuing a transformation into a mobility services provider. He hand-picked Tomoyama, an executive vice president and longtime confidant, to lead the effort. Tomoyama says building a good rapport and making speedy decisions are essential in crafting partnerships with companies outside the auto industry. As an example, he said negotiations with Uber progressed rapidly after Dara Khosrowshahi became CEO last year. The Toyota executive sees Uber’s Advanced Technologies Group—where it conducts its autonomous driving research—as essential to its corporate value, and said both companies have high expectations for the other’s software. Tomoyama also said Toyota has sped up decision-making by adopting a more top-down management approach. Now, Toyoda and his six executive vice presidents are staying in constant contact via social networking, something Tomoyama calls a major breakthrough. “All the core issues are decided via instant message,” he said.